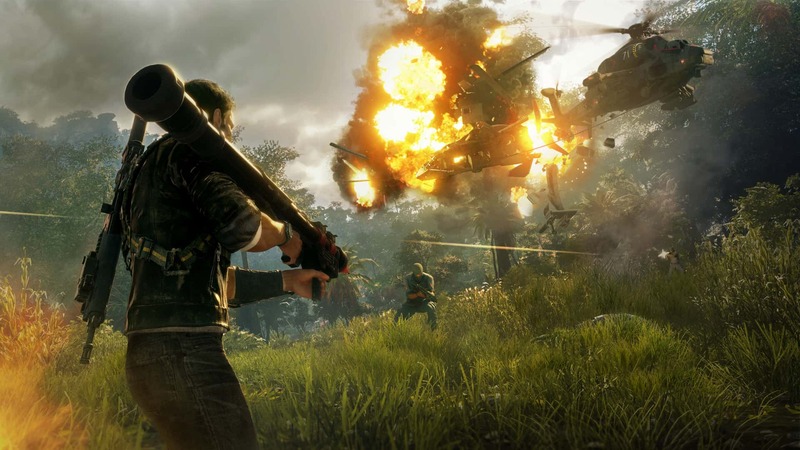 Just Cause 4 is almost on its way to physical and digital stores. Due on December 4th for PC, PlayStation 4 and Xbox One, it will once again deliver a massive sandbox for players to explore. Speaking with Xbox: The Official Magazine (Xmas 2018, issue 171), Game Director Francesco Antolini had the chance to outline several improvements made to Just Cause 4 compared to previous franchise entries. The first thing you’ll notice is that we’ve stepped away from the ‘shopping list’ style of the previous two titles to offer a system that gives players greater autonomy, and at the same time is grounded in Solis’ narrative and Rico’s motivations. Solis itself is a world that’s quite different from the previous games: we’re back to South America, but with a level of detail and an amount of variety Just Cause has never seen before. I joined Avalanche as Lead Designer on Just Cause 3, contributing to the opening of the then-new New York studio. The biggest learning from that experience has been in regards to the processes and ways to work together – and that getting that right is a first, fundamental step in making a studio a great studio. History can confirm that: successful and long-living studios are usually defined by a core team that has stuck together throughout the years, and sometimes by the fact that the team has focused on perfecting a single original IP or idea. The fact that Just Cause 4 packs more than four times the scope and far deeper mechanics of its predecessors tells us a lot about how changes in processes and mindset can actually benefit both creativity and production. Antolini also said his favorite part of the game is the new destruction model, which finally realized the vision Avalanche Studios had. In Just Cause 3, even if Chaos Objects are composed by different physicalised parts, once they get damage they ignite a self-destruction sequence. That was something we had to do because of technical limitations. We haven’t had those limitations any more with Just Cause 4 and the result is what I call ‘play-with-me-destruction’: a set of props and destructibles that can really be used in creative ways; destruction goes beyond simple destruction to offer emergent gameplay opportunities. One of my favorites is the classic horizontal fuel tank: in Just Cause 3 it exploded. In Just Cause 4 it can propel itself forward, effectively becoming a rocket and wreaking havoc all along its path. Check our previous article to find the official PC system requirements for the game.